The partnership has been developed following UK research that looked into the music listening habits of business and lifestyle travellers. Over a quarter (27%) of travellers state they can never fully relax on a journey and 23% complain that they are unable to ‘switch off’ ahead of important meetings. 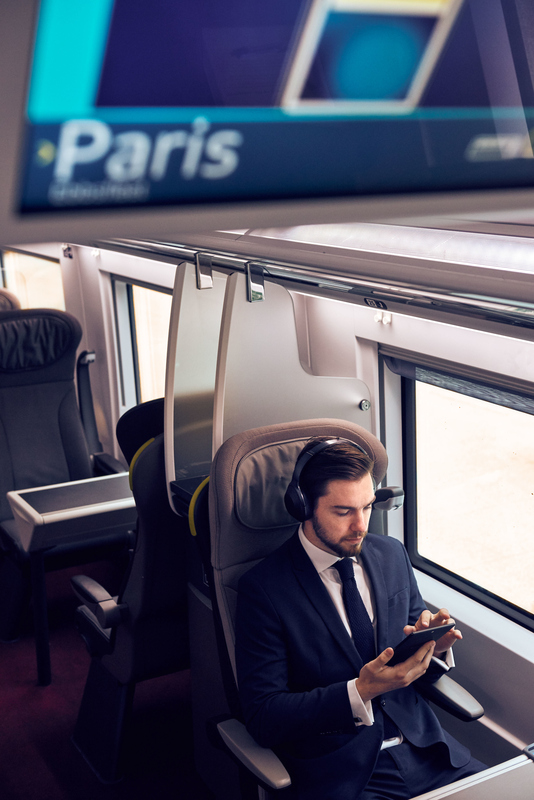 39% of travellers blamed the noise made by other travellers as being one of the biggest stress factors with 66% highlighting that music helps them relax; there has never been a better time to offer this bespoke service. The Sony Sound Menu, on trial for a month initially, has been developed in partnership with Senior Lecturer in Music Psychology at Keele University, Dr Alexandra Lamont, who has drawn on a number of studies conducted on music and mood regulation to recommend five playlists to help travelers prepare, relax and focus on route to their destination. Senior Lecturer in Music Psychology at Keele University, Dr Alexandra Lamont comments, “Creating an ‘auditory bubble’ while travelling, such as through the use of noise cancellation technology, can allow passengers to get more from their journey, helps people block out environmental noise and allows them to focus on the moment or the task at hand. We know that different music creates different moods, and the traveller can immerse themselves in music that suits or changes their mood to make the journey pass more pleasantly. Being able to eliminate these noises and replacing them entirely with the sound of your choice leads to an all-round more relaxed experience”. 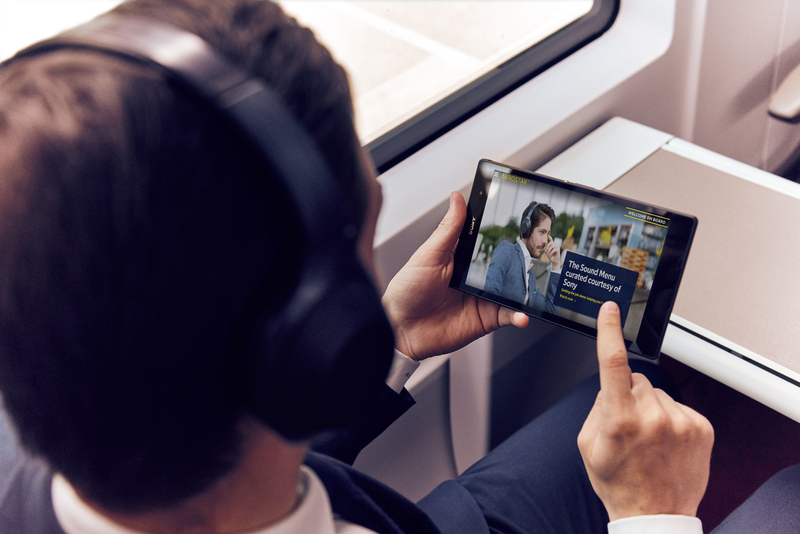 The Sony Sound Menu will be available on Eurostar’s onboard entertainment system on all e320 and e300 trains from Thursday 27th April for one month. A survey of 2,000 UK adults was conducted by One Poll on behalf of Sony’s 1000X noise cancelling headphones in April 2017. With industry-leading noise cancellation, Sony’s MDR-1000X headphones allow the listener to enjoy music free of distractions. Listen in super silence or tailor sound to your environment. Key modes include ‘Quick Attention’ which allows listeners to talk without taking headphones off. Place one hand over the housing to instantly hear what’s going on around you. Making the most of noise cancelling, the ‘Ambient Sound Mode’ setting changes the sound condition so that you can enjoy listening to music while catching the ambient sound outside, this lets you stay engrossed yet aware, catching every word being said around you. The Sony Sound Menu has been curated courtesy of Sony’s award winning 1000X noise cancelling headphones. The menu has been designed to aid concentration and relaxation on your journey; creating the perfect environment for business and leisure travellers alike. The playlists have been devised in conjunction with Senior Lecturer in Psychology of Music at Keele University, Dr Alexandra Lamont, ensuring listeners are able to prepare, relax and become focused en route to their destination.